Exuberant evening, twice a year, a 4-cours menu including drinks for € 85,– per person on Monday 18 November 2019. On the day of arrival a 6-course dinner plus one luxurious staying overnight at De Lindenhof in a luxury suite including Martins Special Breakfast. After breakfast you will leave for the beautiful island Texel . 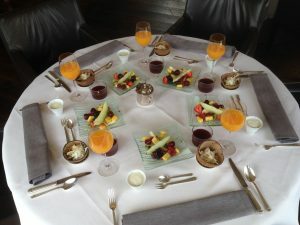 You will stay at Jef (www.bijjef.nl) in a luxurious suite where you will have a 6-course dinner again. After a wonderful breakfast the next morning your mini-holiday ends. From 12 to 12 we welcome you at De Lindenhof. 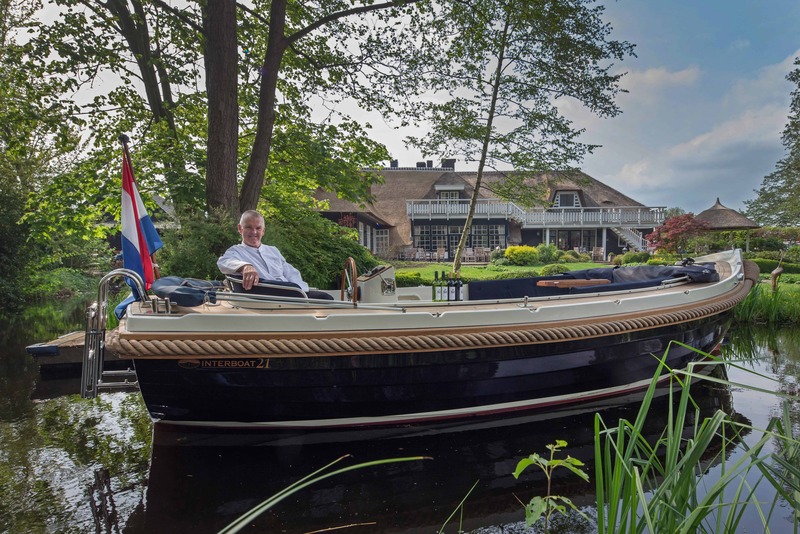 After lunch the captain will take you on a boat trip in the riverboat to show you the finest parts of Giethoorn. After that you can go for a bike-ride or a walk through Giethoorn. 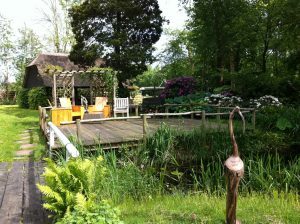 Before dinner you can enjoy the garden or have a rest at your suite. In the evening we will prepare an 8-cours menu with aperitif and wines (this will take up most of the evening), you sleep well in a luxury suite. Next morning, Martin will cook a special breakfast. At 12 noon your mini-holiday will end. € 95,– per boat per hour. 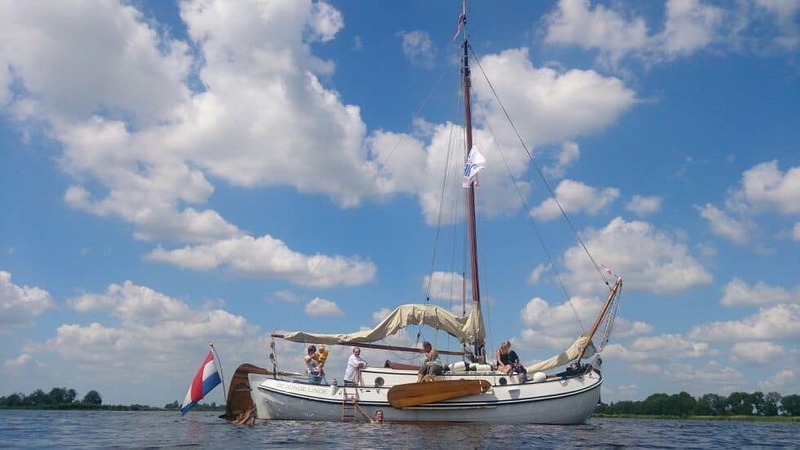 If you want to sail with more than 10 people we have got more boats available. We can take care of some bites to eat and drinks, if you like. 6-course menu, with house-aperitif, wine-arrengement and coffee or tea with petits fours. Overnightstay in a luxury suite and Martins breakfast. When you want to take along more people, we can arrange other barges. Extended lunch on board € 100,– per person all in. De Lindenhof has a big vegetable, fruit and herb acre. Totally organic, including chicken coop with chickens, these ladies take care of fresh eggs for your breakfast. 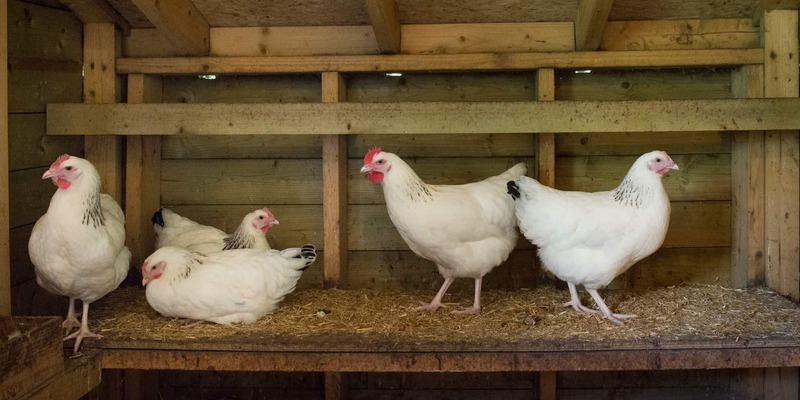 Our chefs enjoy taking you round to show how everything grows.